LPE Group can provide a complete installation service, as well as maintain plant and machinery. We use Autocad 2013 to design and read our customer drawings. 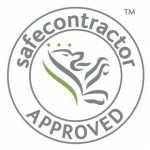 We are Safe Contractor Affiliated. All our employees are H & S Trained to meet customer needs.